Virtual Private Server Hosting - Flexible and Reliable! Virtual Private Server (VPS) Hosting is a solid choice for small to medium-sized websites that require greater reliability and control than Shared Hosting, without the steep costs of a Dedicated Server. Compare the best VPS hosting plans below, ranked according to customer support, performance and value for money. Why Buy VPS Web Hosting? Virtual Machine (VM), represented here by a thick white line. Virtual Private Server (VPS) Hosting is storing your website on a shared server within its own Virtual Machine (VM), thereby allowing it more capabilities. VPS Hosting is seen as the bridge between Cheap Web Hosting (on a shared server with no VM) and hosting on a Dedicated Server - and the prices reflect this. Virtual Private Servers utilize virtualization software to split a single physical server into multiple VMs, each acting as separate entities. Separate VMs within the same physical server are able to have their own operating systems and configurations. This provides a degree of customization and security comparable with that of the considerably more expensive Dedicated Server. Therefore, a Virtual Private Server is a non-physical computer which can only be accessed by certain people - i.e. you. The virtualization technology that makes Virtual Private Servers possible was borne out of a desire to maximize computing resources. Physical servers are expensive to buy and maintain, and they take up a lot of physical space. Despite this, data centers often have more hardware resources at their disposal than they’re actually using. A type of virtualization software called a hypervisor adds an abstraction layer on top of the server hardware, allowing it to be split into multiple virtual servers. In contrast with Shared Hosting, Virtual Private Servers do not interact with the other virtual servers in the host machine (hence 'private'). Like shared hosting, though, Virtual Private Servers use the resources (i.e. CPU, disk space, bandwidth) of the host machine. This is important to remember when deciding between VPS Hosting plans - the quality of the machine will still dictate the quality of the service. Also known as 'bare metal VPS', 'standard VPS', or 'classic VPS', this refers to the virtualization of a physical server. Web hosting companies use these terms to differentiate from Cloud VPS Hosting. Uses the same virtualization technology as 'Traditional', while leveraging the resources the Cloud to host over a network. Hybrid solutions that combine the best features of Traditional and Cloud VPS have also arisen in recent years. A Traditional VPS with cloud infrastructure guarantees uptime in spite of sudden traffic spikes, as well as facilitating migration and offering scalability as required. 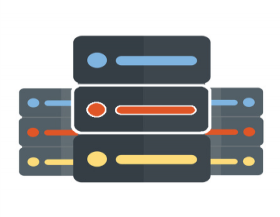 For technical types, or those who prefer to do things themselves, there is unmanaged VPS Hosting. can be a dream come true. These plans give you full control over the VM being used to host your website. With this comes responsibility for installing the necessary operating system, software and control panel - ideal if you really know what you want and how to make it happen. If you lack the confidence or technical knowledge to configure your own web hosting solution, or if you’d simply rather attend to other aspects of your business, a managed VPS Hosting solution is perfect for you. Your VPS hosting company will provide the virtual machine, and handle the setup, maintenance and backups on your behalf. What a VPS Web Hosting plan do? Multiplayer games like Minecraft and many multi-user applications are very resource intensive, so why not use a Virtual Private Server? If you plan to host games and apps with numerous users, it is worth considering dedicated hosting or cloud hosting as these solutions may be more suited to the task than a VPS. Virtual Private Servers are perfect sandboxes, or testing environments. Since each VPS is self-contained, you could run two Virtual Private Servers; one for hosting a live website or application and another for hosting its development version. This setup is more convenient than doing testing and production separately on two physical servers as updates can be quickly rolled out, and you can simulate different testing environments, such as Linux and Windows, on the same machine. On shared hosting you’re normally not allowed to use the service for backing up your files, and even if you are, you could easily exceed your storage limits. In contrast, you could use any extra space in your VPS for this purpose without issues. Bandwidth - how quickly can information travel in and out of your server? This will affect loading times experienced by your visitors. Hardware - is the computer up to the task? Storage - is there enough space for your website, both now and in the future? Trial run - ensure you're getting the service you think you are. Virtual space - How many VMs are housed per physical server? Technical support - look for knowledge, availability and attitude. Should I get a VPS Web Hosting plan? If a Shared Hosting plan isn't enough, but you don’t need/want the additional resources and costs of a Dedicated Server, a VPS could well be the perfect solution, as it gives you more granular control while insulating you from the other sites sharing the physical server. You can get a managed plan so the servers are taken care of by your web hosting provider, or go unmanaged to take full control of your VM. Overall, VPS is a highly effective and customizable web hosting solution which offers terrific value for money. Get your VPS Web Hosting plan today! If you are still unsure you can use our Hosting Wizard and Knowledge Base for more ideas, and Compare web hosting companies side by side. Whatever you decide, Web Hosting Search is here to help you find the best deal!